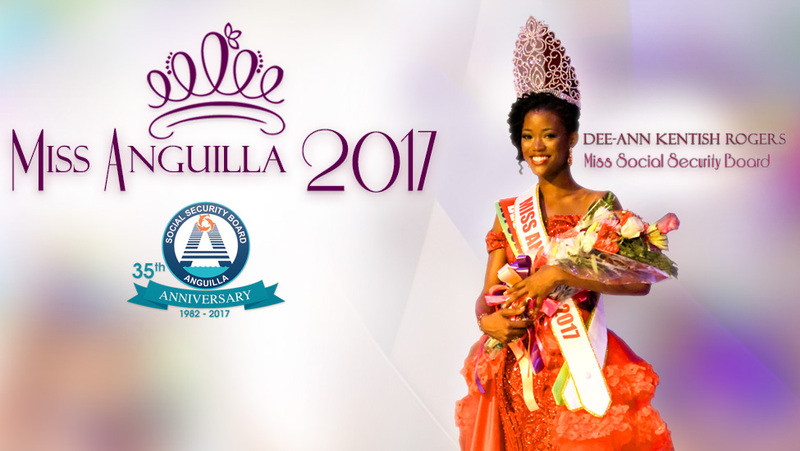 The Board of Directors and Staff of the Anguilla Social Security Board wish to take this opportunity to congratulate the newly crowned Miss Anguilla, Miss Social Security Board, Dee-Ann Kentish Rogers on an outstanding performance in this year's competition. As her sponsor, we are proud of her phenomenal performance and remain committed to supporting her on this exciting journey. We also wish to commend all the other participants for accepting the challenge of entering and preparing for this year's pageant. The Anguilla Social Security Board remains committed to contributing to female empowerment and development as well as supporting Anguilla's largest cultural festival. Congratulations to the Anguilla Summer Festival Committee on yet another successful Carnival.